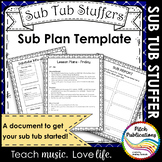 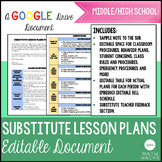 This Editable Substitute Binder includes everything you need to put together a sub binder or sub tub for the year! 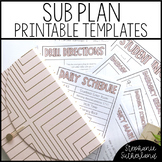 I've included basic headers in a modern black and white design and some of my own examples, so all you need to do is add your own information to complete your custom substitute binder! 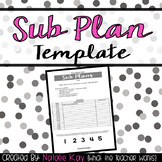 Sub Plan Template for Back to School! 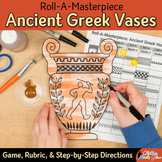 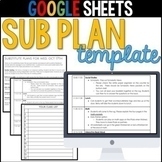 Perfect for New Teachers! 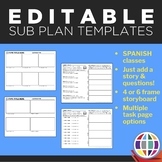 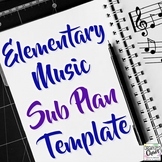 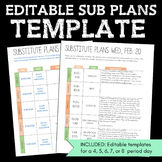 Editable sub plans template is a perfect way to quickly get those plans down, especially when your in a bind. 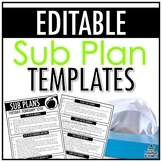 This template was made in powerpoint and is completely editable. 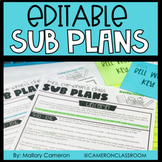 I also included the fonts I used. 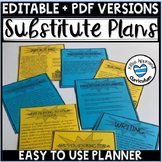 Gone are the days you have to spend all this time creating substitute plans! 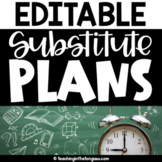 Just keep this template around, tweak it to fix your schedule, and write what you would like the substitute to do that day! 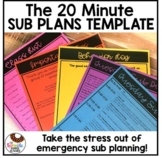 Much easier and less stressful on the teacher who cannot spend too much time creating sub plans!